The NJ attorney is bound by the Rules of Professional Conduct as they are outlined to provide protection for both the client and the legal professional. Lawyers must conduct all of their business in an ethical and honest way. Some of the rules contain wording which states either “shall” or “shall not”; while other portions use the kinder terms, “may” or “may not.” The rules which state a lawyer “may” or “may not” participate in a specific action are largely left up to the attorney’s professional and personal discretion. However, those Rules of Professional Conduct which state specifically that a lawyer “shall” or “shall not” participate in a specified action or activity can bear repercussions for the lawyer if they are not followed. RPC 8.4 deals with lawyers who either violate or attempt to violate the RPC, purposefully help or persuade another person to violate the RPC. When a lawyer violates the Rules of Professional Conduct, it is a negative reflection of his honesty, trustworthiness and displays that he is not fit to be a lawyer. When a lawyer engages in any type of conduct which is dishonest, fraudulent, and deceitful or misrepresents himself he is violating the Rules of Professional Conduct. 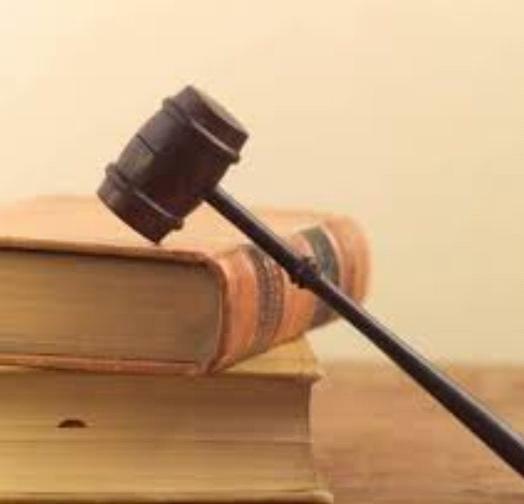 In essence when a lawyer knowingly engages in any types of activities that are prohibited by the RPC, they are acting in violation of the guidelines. Is a lawyer liable if his partner violates RPC? According to New Jersey law, discipline cannot be imposed on an attorney just because they are a partner with an attorney who was charged with a disciplinary violation. However, if the attorney was the direct supervisor of an attorney who committed the violation they will be charged with the same violation.New Jersey’s Model Rule includes all sorts of professional organizations and corporations in the legal arena and they will impose responsibility on attorneys who have been delegated “supervisory authority” over shareholders in a professional corporation, supervisors of a government legal department, and partners in a partnership, and others who have intermediate authority as a supervisor. Lawyers are expected to maintain ethical conduct at all times and in all locations. The Rules of Professional Conduct are enforceable in the courthouse, and relate to how he treats the support staff in the courthouse, how he conducts himself as it is directly related to litigation and all of the activities which are related to his legal practice outside of the courthouse. His actions are regulated whether they are directly related to litigation or not, related to the treatment he offers toward other attorneys or their staff, activities inside the law firm or law office, and those associated with the bar association are all to be in accordance with the Rules of Professional Conduct. Activities which are not related to the legal profession are not regulated by the RPC. Disciplinary actions may be taken against lawyers who purposefully, willfully or knowingly participate in actions which are violations of the Rules of Professional Conduct. When a NJ attorney is found to be in violation of the RPC, they are mandated to withdraw from the related case. A client has the right to dismiss his or her lawyer at any time whether they have a reason or not. Attorneys are not allowed to enter into agreements which burden or restrict the right of a client to dismiss the attorney. In some cases a lawyer may withdraw representation if it will be in direct violation of another section of the RPCs or it would violate another law. An attorney is in violation of the RPC if they knowingly counsel or assist a client in criminal, fraudulent or illegal conduct.